Snap On Windlace used on the pinch welds. This is not cloth windlace. 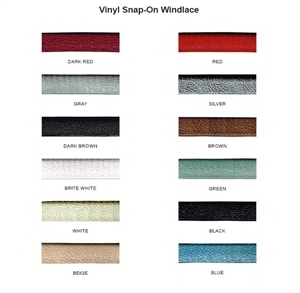 This is vinyl windlace.